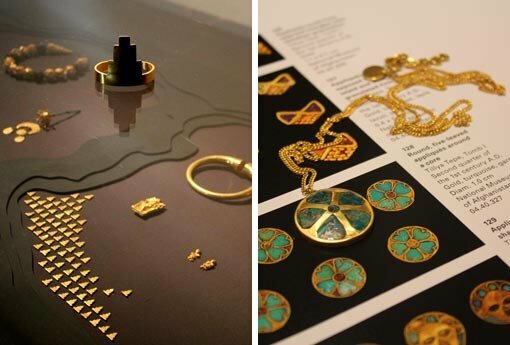 If you have a golden gleam in your eye after visiting the Gallery Shop recently, chances are you’ve been spellbound by the PUSHMATAaHA jewellery range custom-made to complement the exhibition Afghanistan: hidden treasures from the National Museum, Kabul . 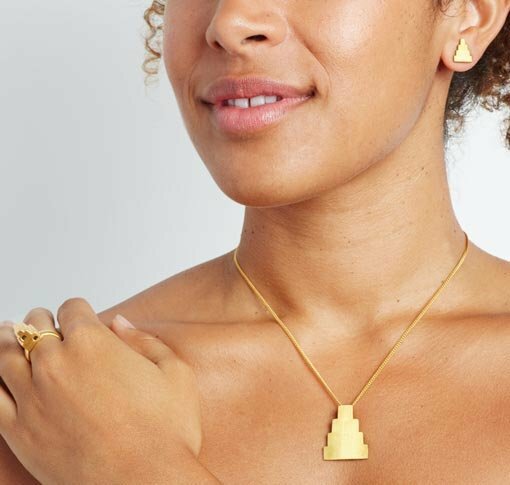 I chatted with Maryanne Marsh, the Gallery Shop’s product developer, and Virginia Rouse, creative force behind PUSHMATAaHA, in the cafe to find out what went on behind the scenes to produce the collection. The next stage involved Virginia drawing up the design specifications and bringing them in to peruse with Maryanne and Gallery Shop manager Rebecca Allport. What happened then? 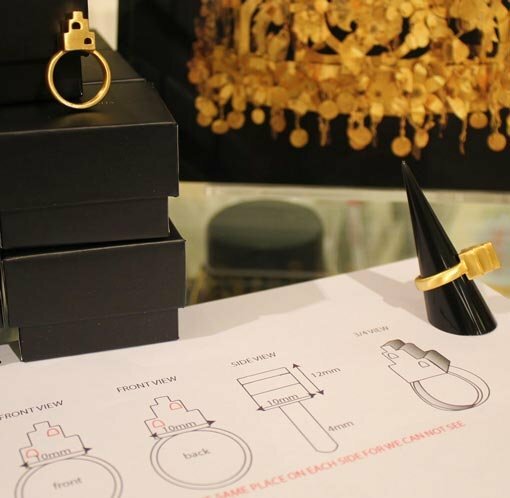 After the design and selection stages, Virginia calculates it took around four to six weeks to see the first prototypes and decide on the right finish and stones for the pieces. Lapis and chrysocolla, or Peruvian turquoise, are both showcased in the range, with Sleeping Beauty turquoise featuring in the more delicate pieces. From prototype, the collection was crafted over the next two months to be ready for the exhibition opening. PUSHMATAaHA jewellery is all handmade by artisans in India, and the individual nature of the pieces is a significant aspect of the range. I wonder if there were any of her pieces that stand out for Virginia in particular. When I ask if Virginia can give a quick rundown of her history as a designer, the answer turns out to be a vigorous no.